Good thread. I would actually go with option 1 on this one because I think the red will show up better on a white background than red brick. I wouldn't be disappointed to see option 2 chosen either. The "Adluh girl" addition would be a really nice touch. I've lived in Columbia for 34 years and it has always been white. I agree with option 1 and the Adluh girl would be a nice touch. As for what can be done with the structure... I have no idea. I'd go with option 1, as well. When I was in elementary school, Adluh Flour gave us a tour of the building and finished it off with what were quite possibly the tastiest, sweetest, hottest biscuits I've ever had. I will always be a fan. 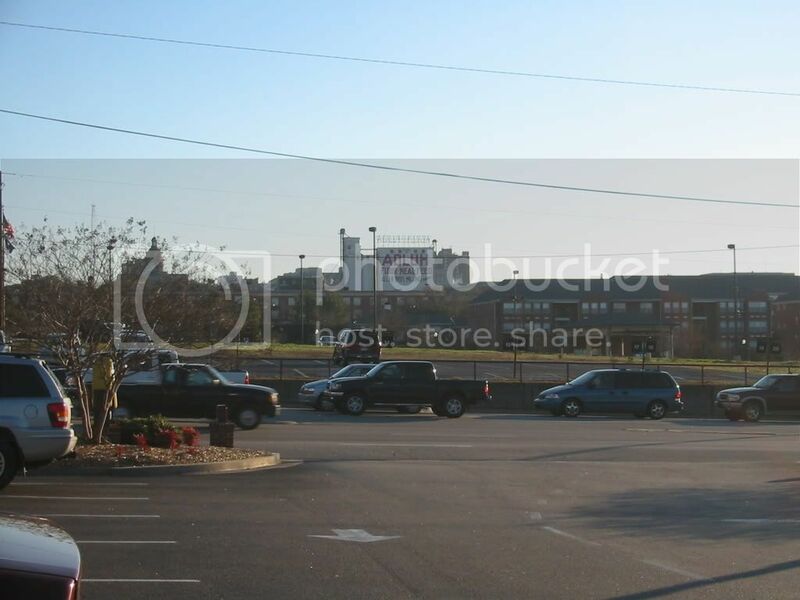 Here is a picture I took from the Vista McDonald's on the day of the Carolina Plaza Hotel demolition.